I bought my first carving book, “HOW TO CARVE CHARACTERS IN WOOD” by H.S. “Andy” Anderson. 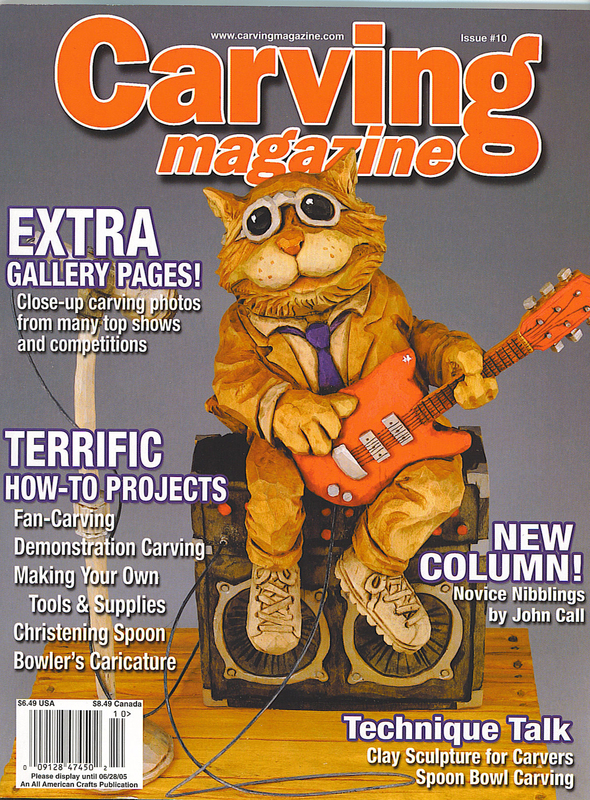 This really opened my eyes to the type of carver I wanted to become. I carved every project in the book. This made me thirst for more. Then Harold Enlow came into my life with his book “CARVING FIGURE CARICATURES in the Ozark Style.” I thought I had died and gone to heaven. Harold not only carved the way I wanted to learn, but he also introduced me to palm tools. They were what was missing! Harold came out with more books, each as exciting as the first. I carved every idea in his books. I started to develop my own style, a mix between Ozark and Flat Plane Scandinavian. 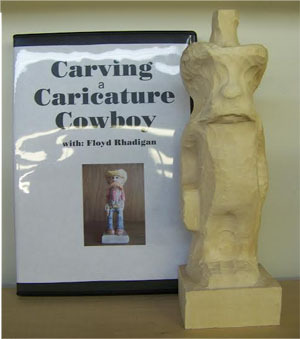 I began to teach my style of carving in 1976 for the city of Mt Clemens’ Adult Ed Program. I moved from Mt. Clemens to Warren, Michigan and started teaching for the Warren Parks & Rec. Dept. In 1991, I moved to Saline, Mi. where I started teaching a weekly carving class and began participating in Wood Carving shows around the state, As my work became known, my teaching increased. 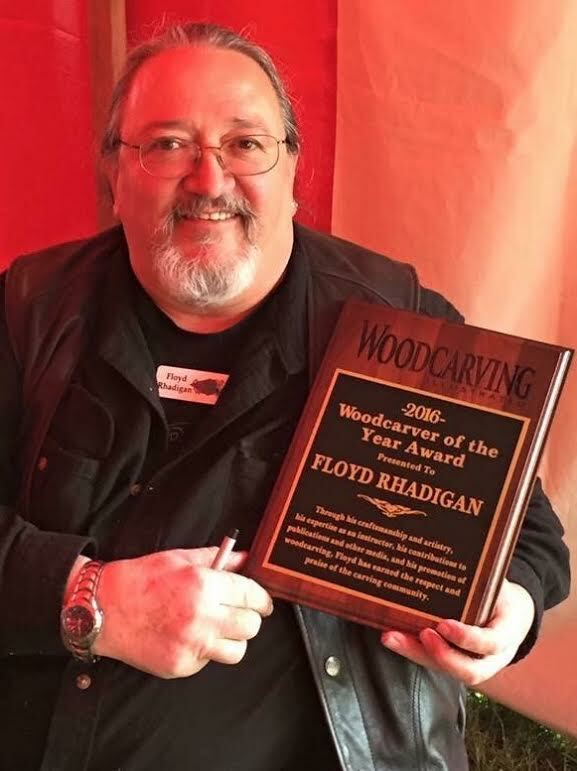 I started to teach at the two major woodcarving seminars in Michigan, CREATIVE WOODCARVING SEMINAR in Cadillac and the M.W.C.A [Michigan Wood Carvers Association] in Oscoda. I now instruct annually at the Woodcarvers Round Up in Evart, Mi. and the North East Carver’s Round Up in Honesdale, PA. I also conduct one and two day seminars for individuals and carving clubs. Wood Carving has opened many doors for me. I have met some of the greatest people in the world and have been awarded many honors by carvers who are my heroes. I have a lot more to learn on this journey. May we meet and carve together along the way!